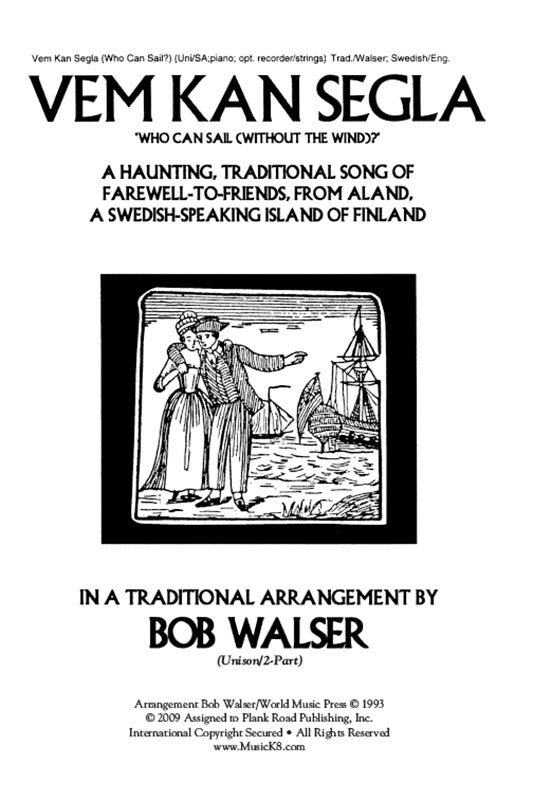 This is a haunting song of farewell-to-friends from Aland, a Swedish-speaking island of Finland. Arrangement by Bob Walser. Unison/2-part treble voices or mature voices in octaves; piano; optional recorder. String ensemble parts available separately. Available: vocal/piano; full score plus strings.